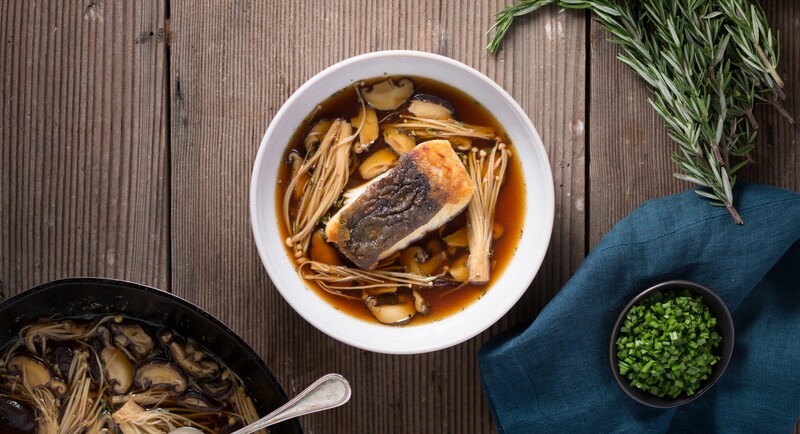 This umami broth with a peppery kick has such a depth of flavor that you'd never guess it takes less than half an hour to come together. If you'd like to keep things strictly Paleo, make sure to choose coconut aminos instead of soy sauce. Bring water, soy sauce, mirin, pepper, shallots, half of garlic, sliced ginger and ground ginger to a boil in a heavy saucepan, then simmer 5 minutes. Let broth stand off heat 10 minutes. Cook remaining garlic and rosemary in oil in a heavy skillet over medium heat, stirring, 1 minute. Add mushrooms and cook, stirring occasionally, until tender, about 3 minutes. Strain broth through a fine-mesh sieve into mushroom mixture, discarding solids, and simmer 1 minute. Stir in lemon juice. Pat fish filets dry and season with with salt and pepper. Heat oil in a skillet over medium-high heat until hot, then sauté fish, skin side down, turning once, until golden brown, just starting to flake, and just cooked through, about 8 to 10 minutes. Transfer fish to bowls. Reheat broth and divide among bowls, then sprinkle with chives and extra ground black pepper. 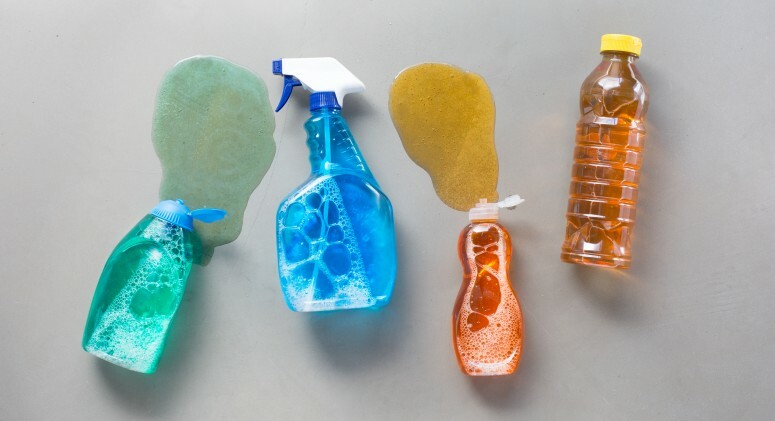 Are Your Cleaning Products Hiding These 7 Troubling Ingredients?